We are now into term 2 of this year and our competitions are quickly coming up. 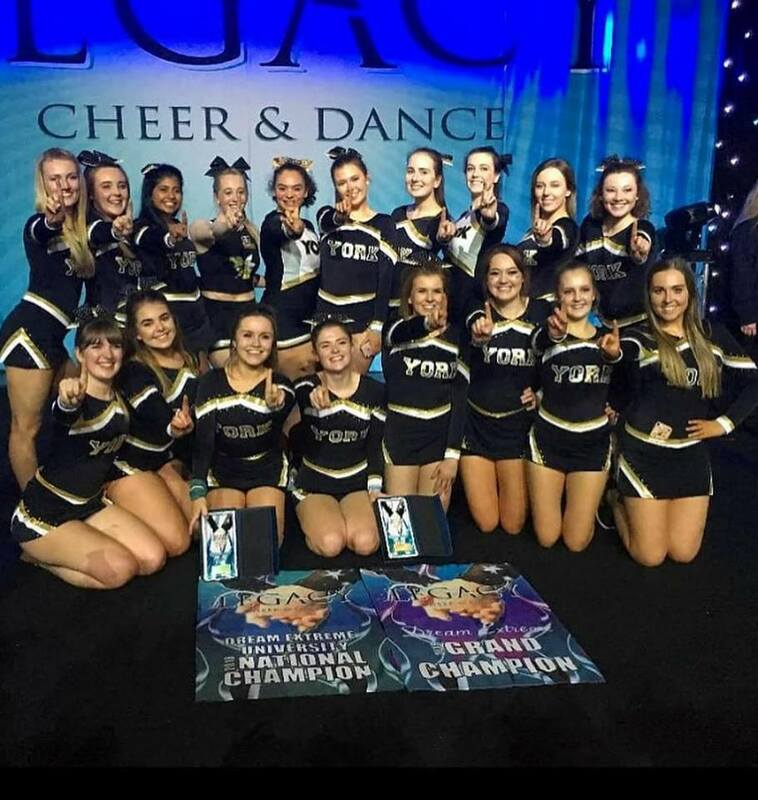 As cheerleading is a growing sport in the UK, our usual competitions are much more expensive this year, therefore we need your help with our fundraising mission to be able to afford entry fees and the cost of transport so that we can make the University of York proud. 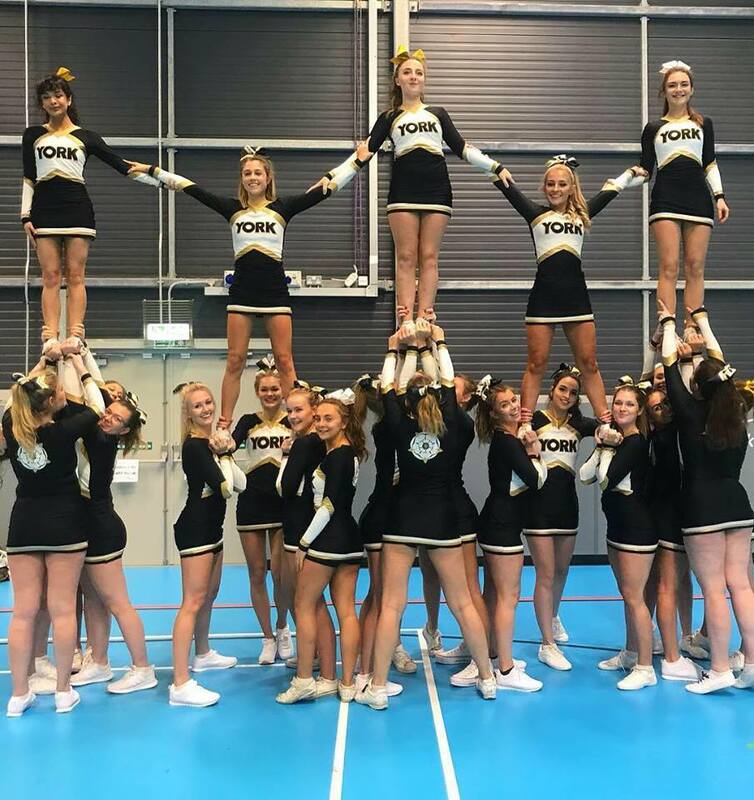 York Hornets are a cheerleading club made up of almost 100 students at the University of York. 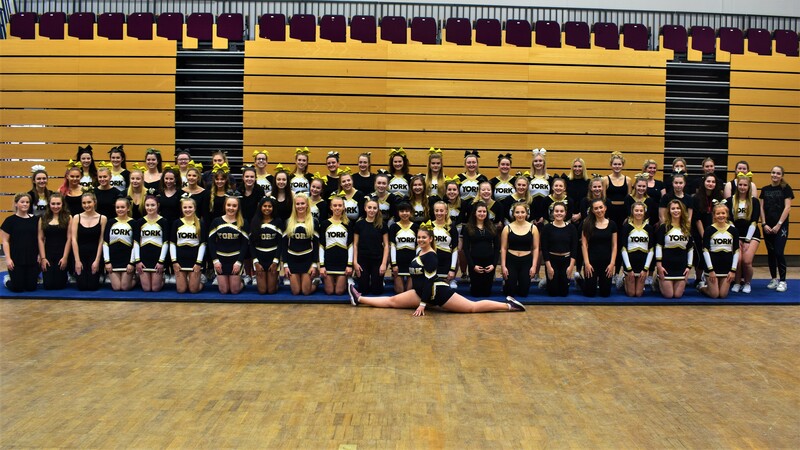 We are a combination of competitive teams (cheer squads as well as dance squads) and an events team. Cheerleading is a sport which combines dance with jumps, stunts and tumbling. 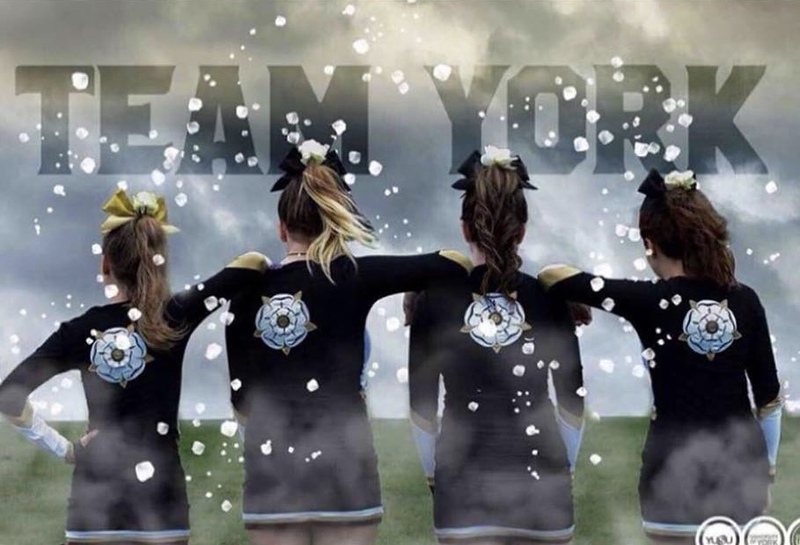 York Hornets consists of level 1 and level 2 Cheer squads, a pom squad, 2 group stunt teams, an events team, a hip hop team and jazz/lyrical team. 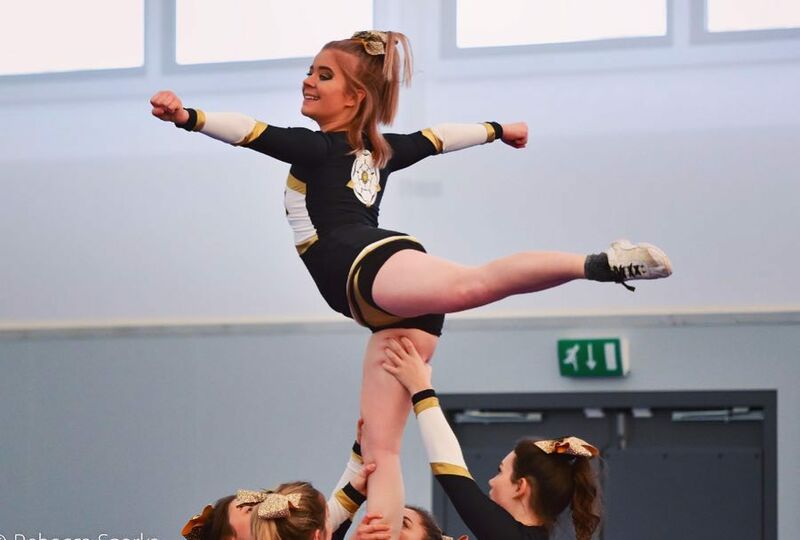 Each of our squads compete at 3 competitions across the UK, except our events squad who take over the university campus towards the end of the year to show off what we can do. You will be able to see examples of our routines attached to the page. We work very hard throughout the year to put together a routine which will hopefully take us far at competitions and wow our audiences. Our competitive teams are currently in the last couple of weeks of preparation before our first competition and our routines are starting to come together and look fabulous. However, this year more than ever, we need all the help we can get with our fundraising as the cost of our competitions has increased and we now have to travel further for our first competition - Legacy. At Legacy last year our pom squad got 1st place National Champion as well as overall Grand Champion in the dance category. With your help, we might be able to get these awards for all of our squads. This funding will go towards helping to cover the cost of our expenses for our competitions. We have already held a number of fundraising events this year and still have many more planned. However we still have a long way to go to be able to cover the costs of our competitions - in particular for our transport. We have so far managed to fundraise almost £1,000 through selling Krispy Kreme doughnuts around campus, making and selling calendars to members of the club and many other events, we also have events coming up such as a showcase and a quiz night. Our fundraising, however, is only a small proportion of the overall total. The rest is made up of membership fees from those in the club who compete, sponsorships from clubs around York and grants that we have been given. If we are able to cover all of these costs and fundraise even more, we will be able to put the rest of the funding towards helping our teams improve and increase the safety of our training - for example, buying a new mat so we have more space to train and practice our routines in a safe environment. To say a massive thank you for your support we are offering some nice little rewards as you will see on the right. These vary from a thank you on social media, to a cute handmade bracelet and finally a 'Hornets goody bag' - but be quick as these are very limited! Follow us on social media to keep up with how we're doing. We would really appreciate your help to get us where we need to be. If, however, you don't feel as though you can donate, please do support us by sharing our page on your social media and with friends and family so that we can reach as many people.